a profile page and link it up with their membership and race history to form their own custom BMX portal. On these Profiles, you and yourriders can add photos, list sponsors, write blogs, and follow all of your friends and heroes in BMX. Once aprofile is created, it will link up with that rider's points and racing history, which will automatically build up a virtual trophy room and display their earned number plates and ranking(s). 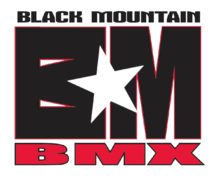 Go to www.USABMX.com and look for the link that reads: Login or Sign Up - located at the upper left corner of the website. First-timers, click "SIGN UP." NOTE THAT for Racers Under 13, the PARENT would set up the account then add the Child later. There will also be a row of boxes for you to check off. Click on all of the boxes that apply - whether you are a fan, racer, team manager, track operator or coach. Once all of the fields are filled in, click on the blue SIGN UP button at the bottom. Upon completion, a verification link will be sent to your e-mail address. Go to your mail and click on that link. On it, you will have 4 choices of where to go. First - let's connect your newProfile with your Membership. If you are a USA BMX or BMX Canada member, click on the top box: CONNECT YOUR PROFILE TO A RIDER ** If you are a parent, team manager or track operator, you will skip this step. Move on to Step 9. By clicking on the Connect button, a list will appear with your name and information. Click on your name (highlighted in blue) and your Profile will then be linked together with your membership. Instantly, a rider's previous and current points, ranking and race history from years past will be automatically tied in with their Profile - and the virtual trophy room will quickly be digitally constructed, along with any of your earned number plates. Jacket or T-shirt award (like for RFL's or NAG). Be sure to hit the blue UPDATEbutton whenever you've made a change or addition. Let's first start by adding a profile photo. At the very top, you'll see the PHOTO option. Click on the "Choose File" button and find your best looking selfie, that you'd want all of your followers to see. Once selected, you may hit the UPDATE button at the bottom of the page to load it. If you are a certified USA BMX Coach - click the "Coach" box, and the Membership Dept will verify it. Don't forget to hit the blue UPDATE button to make all changes. Surely, you'll want to customize your Profile - and one of the best ways to do so is with Photos. Currently, you will only have the ability to load one photo at a time. Click on the "Choose File" link and pick the photo you want. Once chosen, hit the blue ADD PHOTO button at the bottom and your picture(s) will be added to your Gallery. Feel free to add as many photos as you like - new Gallery pages will be added as needed. When you are in the EDIT PROFILE mode (you can return to this at any time by re-clicking on your E-mail address at the top left corner), you are able to add or edit any of the custom features in BLOG & MEDIA: such as Blog Posts, Photos, Videos and Sponsors. If you're not finished but need to come back to it, hit the blue SAVE button, to save your work. This will keep, but not publish, your story on your profile. When photos can't show your speed and style, then maybe it's time to plug in some videos of you in action. Click on the VIDEOS link in the Blog & Media menu and past in your video link - to show it off to the USA BMX nation. CONGRATULATIONS! YOUR PROFILE SHOULD BE COMPLETE! How does it look? Click on your Name or Profile Photo and you will be taken to the view that everybody else can see. Below your name will be your classification - as well as other categories (Coach, Team manager, Team Owner, Olympian, etc). To the right of that are your earned number plates. District, NAG or National point standings. (Left) The Media Pages will display your photos or videos. (Right) When your sponsors are added - logos and the write-up will look similar to this; including website links to the sponsors you've added. (Left) Be sure to FOLLOW your friends or heroes - and they can also FOLLOW you. Link up with all of your favorite BMX racers! (Right) The Calendar feature is another cool linked page, that will allow you to look up who is racing, where and when. This is a great way to find out what multi-point events are coming up in your area. Thank you in advance for setting up your profile. We hope you enjoy this feature of your membership!